Century Cycles Blog: Best Bike Shop in Cleveland! 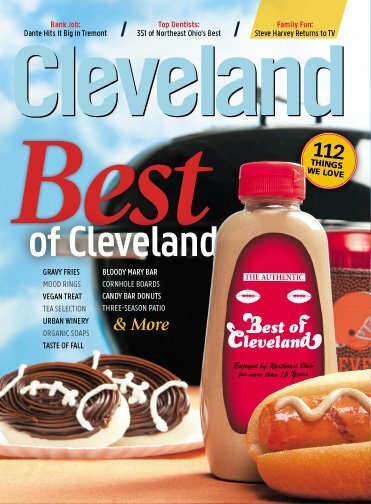 Our grateful thanks to our awesome staff and customers for helping Century Cycles win the vote for Cleveland's Best Bike Shop in Cleveland Magazine's annual "Best of Cleveland" issue! This is an amazing honor that we are thrilled to celebrate at the the Best of Cleveland Party on Friday, October 15, at the Rock and Roll Hall of Fame and Museum. We hope you can join us for what promises to be Cleveland's very best party of the year! Check out our table at the event, sample food from the best restaurants, mingle with Cleveland's most interesting people (including our entire staff! ), and place a bid in the silent auction (to which we donated a special tricycle gift package for the special little girl in your life). Thank you, Cleveland -- we'll keep working to be the best! !